Most small business owners start their own business because they have a passion or new idea for something, want to be their own boss, or are seeking more financial stability and/or earning potential. However, very few entrepreneurs have an accounting or finance background. According to a recent Intuit survey, only 40 percent of small business owners consider themselves "extremely" or "very" knowledgeable concerning accounting and finance. Sound familiar? 1. Revenues are not profits. Contrary to popular opinion, sales alone do not drive profitable growth. That is only one part of the equation. Your ability to manage production and operating costs is the other part. Revenues are the monies your business brings in from the sale of goods and services. Profits are what's left over after all the expenses to run the business, create the products and services, and pay taxes and interest are taken out of revenues. A successful company typically grows its customer base and revenue over time to offset increased operational costs. You need to look beyond the revenues to evaluate your business's profitability. 2. Line-item profits can be more revealing than bottom-line profits. Most small businesses focus on their bottom-line net profit as a measure of their success during the year. However, that doesn't give a clear picture of what is happening in the business. Many small businesses can't identify which of their product offerings or customers are profitable. That means they are making decisions about what to sell, to which customers, at what price and with what resources based on limited information. You need to look at the contribution each product line or service makes to the bottom line. Break out your sales by product line and service and compare them year over year. Do you have any products that are losing sales? Certain key customers may be ordering less, or pricing could be out of line. 3. Margins are the yardstick of profitability. Your small business likely offers higher-, medium- and lower-priced products. Are you selling more lower-priced products than higher-priced products? It could be that your higher-priced products are not priced effectively relative to the market. Every business has customers who require more handholding and maintenance than others. Do you know whether the cost of doing business with those customers is worth the revenue they bring in, given the time and attention you spend on them? Is your attention better spent on business development, for instance? Profit margins are an indicator of whether or not you are spending money in the right areas of the business that directly impact the bottom line. What is the time and resource cost for each product or service? What are your marketing costs versus ROI? 4. You can't rely on financial software programs alone. In this age of do-it-yourself and software efficiencies, many small businesses have come to rely on accounting and bookkeeping software programs to keep track of their financial data. While you can run many reports from a software program, you'll still need someone with experience in finance to help you understand what those reports mean. Did you notice that your accounts receivable turnover is low? That could be a signal that some of your customers aren't paying you on time. Has your gross profit margin been declining over the past six months? That could be a sign that it's time to start talking to your materials suppliers about better terms. They don't automatically provide accuracy, nor can they evaluate possible gaps as a skilled human bookkeeper can. Are you reconciling your books each month? Do you know how to categorise every business expense? Are you familiar with accounting principles for your unique business and/or industry? It makes a lot more sense to let a bookkeeper do the heavy financial lifting for your small business. A qualified bookkeeper, who is knowledgeable in finance, keeps up with the latest accounting policies, produces accurate books and provides business consulting and advice. Your valuable time can be better spent making informed decisions to grow your business than wrangling receipts, accumulating data and formatting spreadsheets. 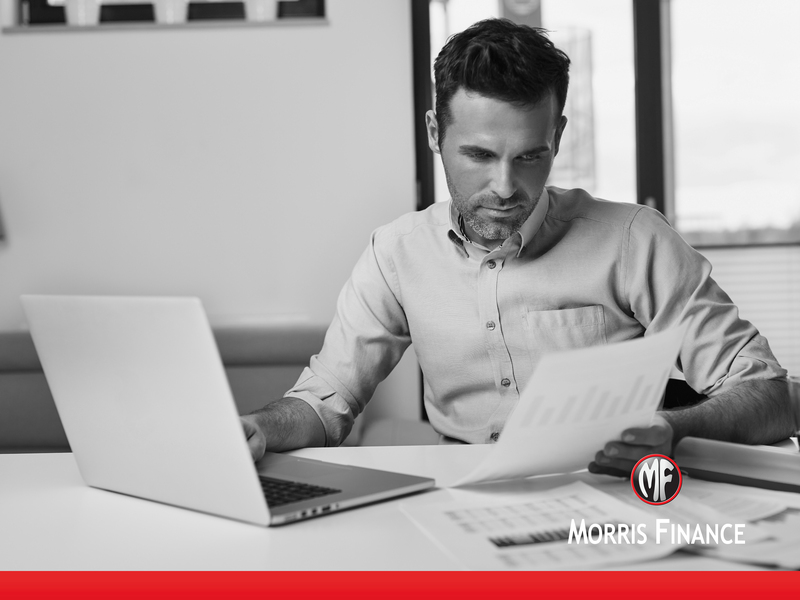 The team at Morris Finance are well-equipped and committed to helping you achieve your goals. Contact us today to unlock your business potential. We will give you the tools your business needs to get ahead.